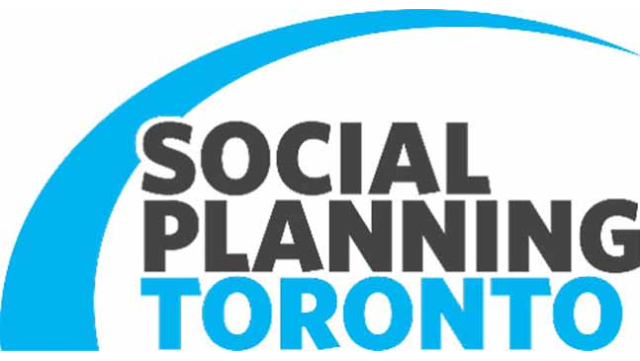 Social Planning Toronto (SPT) is a non-profit, charitable community organization that works to improve equity, social justice and quality of life in Toronto through community capacity building, community education and advocacy, policy research and analysis, and social reporting. Formally known as the Community Social Planning Council of Toronto, SPT has spent over 60 years providing critical social research and reporting, community capacity-building and engagement as well as evidence-based advocacy for Toronto and its communities. Social Planning Toronto is committed to building a "Civic Society" one in which diversity, equity, social and economic justice, interdependence and active civic participation are central to all aspects of our lives - in our families, neighbourhoods, voluntary and recreational activities, and in our politics. The Board of SPT is hiring a new Executive Director. The successful candidate will provide strategic, creative and dynamic leadership to the agency. He/she will be responsible for organizational stewardship & capacity-building to advance social justice and civic engagement in the City of Toronto by working with staff, community partners and the Board of Directors to promote the social research and community planning work of SPT. Master’s degree or equivalent managerial experience in a field relevant to the work of social planning. This search is being conducted on behalf of Social Planning Toronto by crawfordconnect, a search firm specializing in recruiting leaders for Canada’s non-profit sector. If someone you know may be interested in this position, please feel free to forward this document – we’d be pleased to connect with them. We request all applications to be submitted online only. For additional information, please reach out to Cynthia Armour at cynthia@crawfordconnect.com or 416.977.2913. For technical issues, please contact info@crawfordconnect.com or 1.866.647.5149. Qualified applicants are invited to submit their resume and letter of interest online only, in confidence. We thank all applicants for applying, however, only qualified candidates selected for an interview will be contacted.